Rock Band 3 customs aren't just for Xbox players. Wii players can get in on the fun too with none of the online accounts, title updates, or real/fake DLC hassles. Be patient and follow along with the tutorial below. And ask questions if you need help. A reminder: Don't ask about official DLC downloading/converting or anything that is against the board's rules. Do you have a working Wii or even Wii U? Good, because you'll need to softmod it. Follow this comprehensive guide (archived here) on getting set up. You'll want to make a full NAND backup during the process. It is recommended to use a USB Loader with a hard drive and the game copied onto it. When you have access to the Homebrew Channel, download WiiXplorer and put it in the apps folder of your SD card. Inside, you'll find all the tools you'll need to start packing songs to use on your Wii. One thing you'll need to know for sure is how you'll be loading DLC. The more common option is through your SD card (.bin format) because it holds more than the Wii's onboard flash is normally capable of storing. However, it's also possible to set up a virtual NAND. Its greatest strength is using an external hard drive to store DLC which lets you play more songs (.app format) and more conveniently change them out. If you are using the optional custom generations, you will need to install the provided WAD file with a WAD installer. Install with all defaults, expecting an error. Most of this guide will cover packing DLC for use in the .bin format, for SD cards. App files created during the process can be used for virtual NAND users any time they're created. In the packing tools folder, you'll see two folders with numbers in their name. This is the standard naming format which is to be expected from for all the customs you'll be packing. Content folders are expected to have the decimal number first and the hexadecimal value second for your reference. I've modified the necessary files so it's a hassle-free decimal-to-hex conversion from here on out. 052 is 00000034 in hexadecimal. Increment the values for each folder as you continue to add more songs. Use a calculator to easily convert the numbers as you go along. Each number counts as a "slot" of content and you can go all the way up to 500 or so. You need a song name or something after the numbers to represent what is in those folders for your reference. Usually this will just be whatever the converted song name was. Finally, the Wii expects two components to create DLC. The _meta folder will contain metadata or non-music files. The _song folder will contain song files, which are the files that load when the song plays (like the audio, midi, and animations). No two folders can have the same numbers, so make sure you don't make that mistake. Adding more customs is easy. You can download customs for Wii from the C3 Database or from the new Database. Customs should be in the RAR format which you must unpack. You'll find two folders inside named similarly to the sample song in the packing tools, except with zeroes. Drag these folders into your packing folder. Notice they all start with 000_00000000. Since they're going after the sample song, rename the _meta and _song folders to 054_00000036 and 055_00000037 respectively. Change sZAE/000 to sZFE/054. For customs, you want this value to match the _meta folder's first 3 digits. Save it and close. That custom should now be ready to build! You don't have to stop there. You can add more customs to the same slot to pack multiple songs together. To do this, download the latest C3 CON Tools. You should always have this! Choose the Wii Converter option and click on the second tab. This is really easy to use. Take your unpacked custom folders (the ones that start with zeroes) and drag it into the program window. A folder dialog box will open afterwards. Pick the _meta folder of an existing, prepared custom you want to merge with. After that, you're done! It doesn't get any easier than that. Note that If your Wii DLC setup requires you to use APP files, the file size limit for a _song will be about 400 MB. For SD card users, the limit is 40 MB, so make sure your merged customs don't exceed those file size limits. The limit on _meta folders is about 500 KB, so watch that one as well. If you want to fit as many customs as possible into one slot, you can safely delete the preview mogg files found in the _meta folder for a song. Since the limit is about 500 KB, it's easy to reach this limit first when merging. This is really simple now. Run the RB3WiiPackTool to automatically generate a script file that will be saved as packdlc.bat. For those loading DLC on the NAND, you're done at this point. Just run the script and you'll have your working .APP files. For those using SD cards, you'll need two more files: ng_id.txt and common-key. Blank placeholders are in the packing folders by default. They won't work by themselves! To get ng_id.txt, take any official DLC you have downloaded and drag it into the Wii Converter window of C3 CON Tools. You'll be asked to save a text file. This should be an 8-character hexadecimal value in plain text. For common-key, just find it wherever online. This one must be a 16-byte file in hexadecimal and must not be all zeroes. Now that everything is set, run packdlc.bat. If everything worked correctly, you should have made a 00000034.app and 00000035.app file as well as 052.bin and 053.bin. Again, make sure song .bin files aren't larger than 40 MB, meta files aren't larger than 500 KB, and that any .APP files aren't larger than 400 MB or they most likely won't load in the game. Getting the custom DLC on your console depends on your Wii setup. SD card users will take the .BIN files that were generated and put them on the SD card in the following path: private/wii/data/sZFE. If the sZFE folder doesn't exist, create it. Drop the files in there and exit. Now load up the game with your SD card in your Wii. If everything was done correctly, the content loading bar should appear in the top-left corner on the main menu without freezing or errors. Your custom song should now be playable! Virtual NAND users can access their Wii's file system right through the PC upon hooking up the drive. In your NAND, navigate to title/00010005/735a4645 and put the DLC files in there. If the folder doesn't exist, create it. Make sure the title.tmd file and 00000026.app file is in there and let it overwrite whatever was in there. If you had to create the 735a4645 folder, you'll have to go to ticket/00010005 and copy the title.tik file from the packing tools in there and rename it to 735a4645.tik. Let this overwrite the ticket of the same name if it was already there. 735a4645 is sZFE in hex, so that value isn't completely arbitrary. Boot up the game and you should now be able to play your custom songs! Cache resets are necessary to get the game to re-read the _meta files if you've made a mistake, added songs to a previously-loaded slot, or need to change song metadata. This process is basically the same regardless of how you load your DLC. Inside, you'll see an MSTORE.VFF file. Click on it and delete it. If it won't let you delete it, you may have to enable NAND Write Access from the app's Boot Options in the main settings page. Now when you run the game again, it will rescan through all your songs and load the custom slot you used again, making them reusable. You don't have to do this when adding new customs in new slots. Loading times vary, but a batch of about 250 songs takes about 30 minutes. Congratulations! 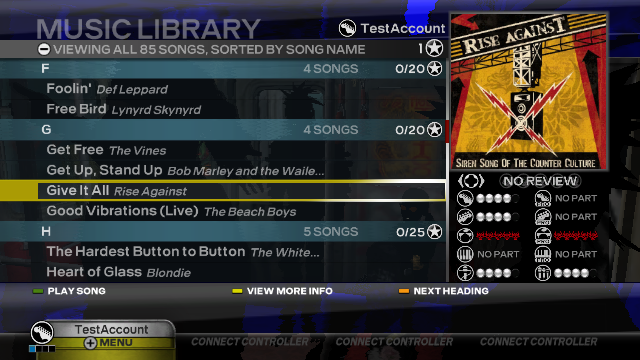 You can play custom songs on your Wii. I hope it becomes simple very soon. Any questions, please ask and I'll explain further. That concludes the main guide. The instructions below are optional, but similar guides for Wii players. Since customs are produced in Xbox format first, it's required that a Wii conversion be done. Most customs you'll find here are only offered in CON format, but that's okay because converting is easy. 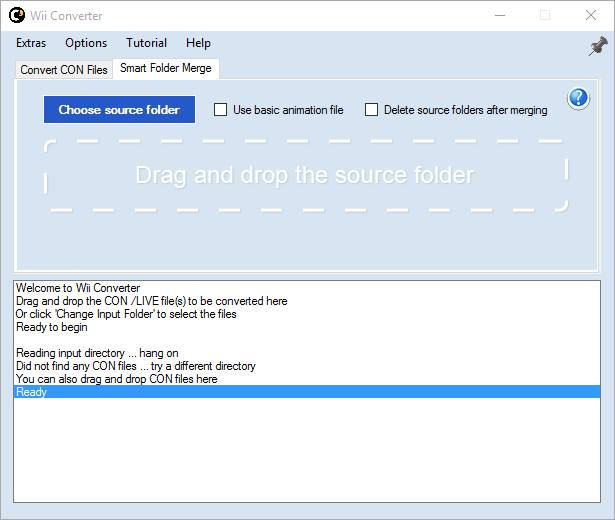 In C3 CON Tools, the Wii Converter option will allow you to easily convert multiple CON files. Just drag and drop a CON file into the window and you'll be ready to go! Output will typically look like this. You can choose to create a 15-second preview and to pack everything in a RAR. This is just like the examples from above, so do just what you did there to add your converted customs. The Rock Band Harmonies Project is a fan project that adds Harmonies to pre-RB3 songs. Some Keys and Pro Drum upgrades are also available. You can download the latest release at the project's home. Using these on your Wii is a bit different from customs. First, download the RBHPWii-Packer. This only works in the sZAE content generation, which you can look up here. By default, it's set to overwrite the first song, "The Kill" , due to how the spoofing file works on the Wii. RBHP is only available for NTSC regions, like USA, at the moment. These serve very specific purposes. 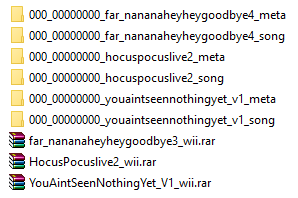 The spoof folder will only contain a songs.dta file in the songs folder. This DTA file will contain all the songs post-sZAE (sZBE, sZCE, etc) that you wish to upgrade. The RBHP download also has a song's songs.dta file, but with updated metadata. Append the upgraded DTA file to the one provided for you for each song you want to upgrade. You just need to copy and paste. The upgrades folder will contain the upgrade midis the game will load as well as its DTA file. Copy your midis from RBHP here. The same _meta folder file size limits apply here, so try not to exceed 500KB. That's about 15 upgrade midis. Also, just like the songs.dta in the spoof folder, append the contents of upgrades.dta to the provided file so you have one DTA with all the upgrades you want. This time however, make sure the file path is actually correct, or it won't work. It should say "dlc/sZAE/002", or whatever the first 3 digits of the upgrades folder it's in are.. Finally, run the packdlc.bat like before and watch it create the necessary files for you. Put these in the sZAE folder for SD or 735a4145 folder for virtual NAND. Remember that you will be replacing "The Kill" with these. Before you go run the game with these, you MUST refresh your cache so the updated metadata is loaded and Harmonies show up. If you did this correctly, the Harmony part should show up with a difficulty in-game. After that, the Harmony part should load without crashing. If it crashed while loading, it could be a problem with the upgrades folder you packed. Remember, your scores save to the leaderboards. Be the first to make me second place! It's worth noting that because of how spoofing upgrades work on the Wii, it's not possible to upgrade sZAE songs using this method (at least not as easily). To bypass this limitation, sZAE songs in the RBHP Wii pack also come with .app files, which are basically the original files used to pack the official DLC, but modified to include the updated vocal parts to the DTA and album art. You can pack the app file based on the provided sZAE list in the same folder you packed your upgrades in. You should be able to pack a .BIN file of the upgraded song and let that overwrite whatever was in your SD card. Then, next time you refresh the cache, the updated song metadata will always be used, regardless of the spoof file. If this sounds complicated, ask and I'll explain further. It is also possible to just force-reload one or a few songs if you want to avoid a whole cache refresh. You'll have to ask for this as well because it can be a bit involved. If you've followed this guide up until now, you should have a Rock Band 3 ISO somewhere within reach. 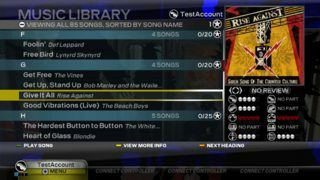 If you bring this over to your computer and download the Dolphin Emulator (4.0+), you can actually PLAY Rock Band 3 Wii on your computer. You'll need a fairly powerful computer to get great performance, though. You can play customs by connecting your Wii instruments (except mic and midi keyboard) or watch your track on autoplay. Packing DLC for Dolphin is similar to the main console method, except faster. To start, download the Dolphin-DLC-Files. These files will overwrite the Wii folder of your Dolphin Emu's virtual NAND. To find your NAND path, run the emulator and click Config. In the Paths tab, it's the Wii NAND Root path listed. You can change this too, if you don't want to lose saves or other things because this might overwrite anything valuable you may have had if you've used Dolphin before. Now comes the packing. It's much easier to work all on sZAE because it doesn't matter at all if you're overwriting official DLC slots. Starting with any newly-converted custom, change the zeroes to this: 001_00000001. Also update the DTA to read sZAE/001. The only limit you have is u8it's 2GB file limit. Meta folders and song folders can be up to 2GB, which is basically limitless. Everything can fit in sZAE/001. Use the Smart Folder Merger in C3 CON Tools to add many more customs! Because you might not be adding DLC folders for Dolphin, you can write the packdlc.bat manually. Here is a version of the script I use. copy /Y 00000001.app "YOUR NAND PATH \Sys\Wii\title\00010005\735a4145\content"
copy /Y 00000002.app "YOUR NAND PATH \Sys\Wii\title\00010005\735a4145\content"
First, the folders are built into APP files. Then, they're moved to the DLC folder for sZAE on the virtual NAND. Replace the path within the quotes to your actual path to that content folder. This always overwrites the content at the destination, which is really convenient. Just run the batch and boot the emulator. You should now have playable customs on the emulator! Here are all the cheats for the game. Add them by right-clicking on the game banner, then going to Properties, then Gecko Codes. Fast Startup is a must-have. *Auto plays all instruments. No overdrive. *Enables the following songs if you have them:"Black Hole Sun", "Dani California", "Hier Kommt Alex", "Rock 'n' Roll Star"
*Do not combine never with always. Won't stop videos in All Instruments Mode. *Venues will always prioritize videos. If the game "soft-freezes" at the Strap Usage screen, it could be wrong for many reasons. I don't think this happens anymore though. Possibly due to an emulation error, hundreds of songs are apparently being loaded at the main menu despite only loading the ones you packed. This is not an issue. I don't get a cache created anymore for some reason. If a cache is created, you can have your packdlc script erase the cache file from the virtual NAND. Songs that would cause the Wii to stutter or choke on will play without issue on Dolphin, including song files over 40 MB. If you're running the game fast enough, holding Tab will speed it up. If your computer can handle it, you can set up all 5 instruments with the cheats on autoplay and play at 1920x1080 and higher to record. Hiding the crowd with the Concentration Mode cheat can help reach full performance. Setting this up can also be a bit complicated, so ask if you need help. General problems and issues are explained here. The size of a packed _meta file cannot exceed about 500 KB. If you exceed this, the game might not read the contents of the file and your songs won't load. Cut back on the file size by removing preview audio or taking out customs. If it was skipped this way, it won't be cached, so you can try again without reloading the cache. If you're getting a "Content cannot be restored" error, this usually occurs because either the _song folder may be missing, or the _meta folder is not structured properly. If you're getting a "License has expired" error, this might be because you don't have the content generation's ticket installed. You might need to have at least one sZFE content downloaded or its WAD installed. sZGE should not have this issue. Just install the WAD and go. Scores on custom songs without a numeric ID will be erased when the cache is reset. High-quality multitrack MOGGs with more than 8-9 tracks may stutter in-game. C3 Customs for Wii shouldn't have this problem. If you encounter MOGGs that stutter or are too large for the game, RockBiink is recommended to downmix and lower audio quality. RAD Video Tools (and QuickTime) are required for RockBiink to work. Songs with no song_id value may display the wrong scores. This shouldn't happen anyways. Always add an ID. If a custom isn't showing up in-game, try a cache reset. That fixes some problems. None of the RBHP upgrades worked! Some untraceable problem might be breaking the entire songs.dta file. Try splitting up your spoof DTA files to find out which song broke everything. It's a tedious problem to track. Dolphin won't load DLC? Make sure you're on a newer version. Builds of 4.0-5000+ should be safe to use. The SYSCONF file might also be an issue since the emulator resets it to the Swiss region if my replacement didn't work. Keep replacing it with the Dolphin files provided here until it sticks. Then it won't revert itself. 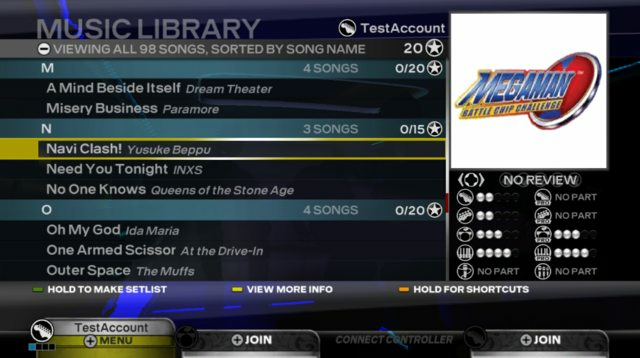 You can also make useful booklets of the songs you have on your console to show others. Try pksage's Cache Exporter Tool with a copy of your MSTORE.VFF file after songs have loaded on it to easily gather a list of all the songs you have. You can find more great customs for Wii in the C3 database, from the new, better database, or from The Beatles: RB3. Special thanks to Nightmare Lyre for allowing his own song, released through C3, to be used as the sample for this tutorial. Edited by StackOverflow0x, February 5, 2019 - 05:23 AM. Now if only playtesting on an emulator were this swift. My understanding of this process is that there is a one-time setup component that is a bit of a pain, and subsequent redeployments are a little speedier. Sure, but anyone who's anyone with a Wii this late will most likely have it softmodded. Skipping all that, it's just a matter of running homebrew software and doing what the videos do. In theory, you could even just pack a song for yourself and load it up on a clean Wii. You just couldn't reset the cache to overwrite that slot. Someone wants to try a custom song really badly on the Wii? I can actually pack it for them and they'll be able to play it, no problem. I wish this would work on emulator because it would make showing everything at once much easier, but DLC doesn't seem to load on it. In theory if you Wii people have the same files you can play these customs online with each other right? Yeah, there shouldn't be any online restrictions, though I haven't tested it yet. Neat little update. I got someone to look into getting DLC working on Rock Band 3 for the Dolphin emulator. Now when you download the latest build, you can play songs that are in the .app file format. These are generated with the packing tools. With some modifications, you can dump audio for multitracks. And of course, you can just play the songs, too. Xbox-quality audio may still be too much and can degrade performance. The customs I've converted should play fine. Maybe I'll write up a more detailed explanation for this. It's more of a novelty. I remember it was working for me in Rock Band 2 and RawkSD. Crap, I almost forgot I had a video on Youtube playing some Metallica exports online. At least when 3D doesn't have to be rendered during songs, it plays just fine for me. I haven't tried but even on emulator, you should be able to play online with others. I don't know how well you'd play though. Playing customs online with your friends using the Wii? I think this console has an advantage now. I'm very tempted to try this with my modded Wii. What is the max song limit on the Wii version of the game compared to the 360's 2952 limit? If I remember correctly, it's 1000. Yup. It's a hard-coded 1000 that seemingly can't be bypassed at the moment. You'd probably have to carry around different drives if you're planning on having that many songs. Is it actually 1000? On the Xbox 360 it says 3000 but it's really 2952 because 48 of those "songs" are the included trainers. Hmm, I thought I saw someone with exactly 1000 one time and the limit is hard-set like that for the Xbox as well. Since I have been able to get the trainers to show in the song list, then that's probably still true then. Getting RB3 fully functional in an emulator means we can TAS it. No need for any other sorts of ware? Does Dolphin support frame-by-frame advances and re-recording? People have done speed runs on Dolphin, so yes. But sure, I guess it is possible to perfectly play everything at 1/10th the frame rate and record in real time, but its a hassle. I like it more for testing if things crash or not. And then these .bins don't work. well first of all i'd like to say, thank you koetsu/StackOverflow0x for all your work. and I would like to give some advice to the .app file users. If you use Wiimms SZS Tools to create your .app(.u8) files you can create files bigger then 400mb. Wiimm has create his tools mainly for Mario Kart Custom Tracks, but they work also for RB3 Customs and he still updates his tools. For Example in my emu nand, i have only 10 .app files all around 1gb big. My official DLC is also in this files. Now the Game starts really quick and the song loading times are faster then from sd card.